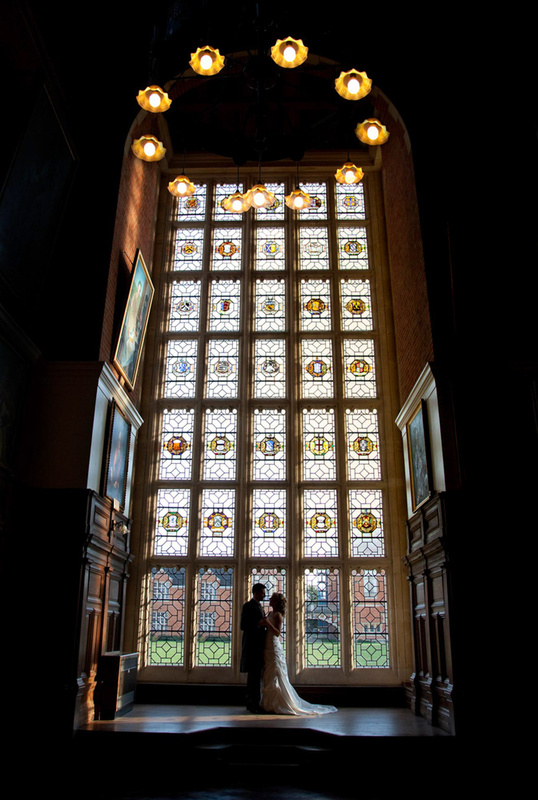 This venue has some amazing architecture but was unfortunately covered in scaffolding on their wedding day but this beautiful window was a bonus. Cards , drinks and cigars ! Lights , camera , action ! !